2018 Tour de USA for Prostate Cancer – We did it! September is National Prostate Cancer Awareness Month and this year we set out to get some local media attention on prostate cancer and how men can beat it. That decision led us through some of the most beautiful scenery in the western United States. We created the Tour de USA®️ road rally to bring awareness to America’s cancer survivors and the need for men and women to take the screening tests that are so important in finding cancers early when they are most treatable. 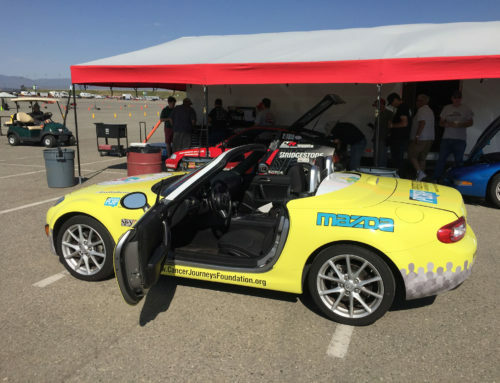 The 2018 Tour de USA focus is prostate cancer and to add a little excitement we went after the world record for the longest road rally charity event. The full details are on the event website at https://TourdeUSA.events. We’ll also be posting pictures and videos from the trip. I began the trip with Dr. Nik Pooviah, founder and CEO of CancerAid, at his offices at the Cedars-Sinai medical innovation center in Beverly Hills, because of the important support CancerAid provides to the cancer survivor community. I spent a career in the US Army and following every mission or training exercise we published an after action report to capture what went well, what needed improvement, and what just flat out didn’t work at all. So, below is our report on the 2018Tour de USA®️ for Prostate Cancer Awareness. These are pretty big accomplishments and we are super happy. We want to thank our sponsors and supporters and all of the other prostate cancer organizations for their efforts in publicizing the importance of prostate cancer awareness. A special thanks goes out to the two television stations that did interviews with us: FOX4 in Kansas City, MO, and K2TV in Casper, Wyoming. And, Hey!, there’s still an opportunity to be a donor! I was way too ambitious. In my desire to reach as many men as possible, the daily routes turned into 7-10 hours runs down an interstate to the next stop. Not a very attractive offer to anyone that wanted to join us for the ride. We used a SPOT Gen3 tracker from GlobalStar to post our location in real time – actually, a 5 minute delay. People could follow us live on the Internet and we had a whole bunch of people that did. Our SPOT Gen3 is now a permanent part of our Tour de USA rally kit. Thanks GlobalStar. My goal was to do at least two live streams daily, but this didn’t work out. I always seemed to be in a location where the signal was too weak to stream to Facebook and I never quite got the YouTube thing down. So, missed opportunity, but I’m going to work on this. We know we’ll save a bunch of lives over the next year. We just won’t know who. We met a lot of wonderful people. Future rallies will support breast cancer survivors. Complete the form below and we’ll keep you posted on our plans. If you join this email list, we guarantee your email address will never be shared and you always will be able to unsubscribe with one single click! This is where we place our disclosure. Anything that we might want to address we can put here and the button below will be necessary to move forward with the purchase. Medical science hasn’t yet found a way to prevent any cancer, including prostate cancer. One in every 6 men will still get the disease. But, we can beat prostate cancer the way we eradicated smallpox in 1977. Smallpox was defeated by a global program led by the World Health Organization. There is no cure for the smallpox virus and the key to its eradication was early detection and the immediate vaccination of people that were exposed to the virus. We can use the same early detection and treatment against prostate cancer. The best current early detection tool is the PSA blood test. Men simply take the PSA test and enter the number into their ProstateTracker.org early detection system. That’s it. It’s so easy! Click on the image below and create your ProstateTracker early detection account. Do it right now! Make a donation of any amount (every $5.00 matters!) and support ProstateTracker.org. 240,000 men are diagnosed each year with prostate cancer. They need this tool! On behalf of the Cancer Journeys Foundation and our mascot “CJ,” thank you for your generous support.